It's that time of year, you know? Time for the fall spices, but especially Pumpkin Pie Spice. It's super easy to go out and just buy a jar of it, but if you have all of the ingredients for the spice on hand in your cupboard already, why buy some pre-made stuff when you can just go ahead and make your own? It's super easy! All you need are the spices, duh, and a container to put them in. I used an old cake sprinkles container, super fancy of course. You can totally see the scrapes on there from where I was trying to get all of the old sticker residue off. Totally high class here. 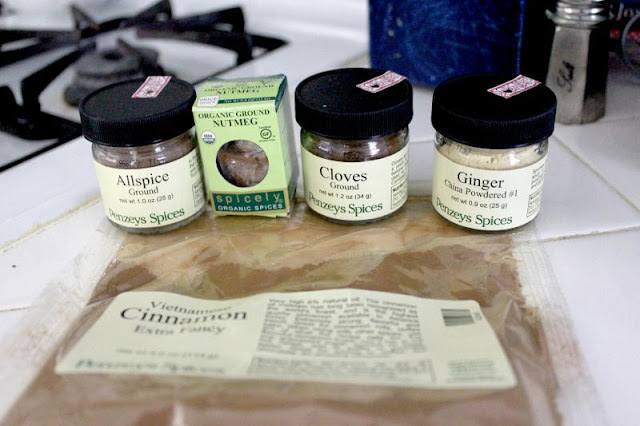 I actually went out and got all new spices this year, apart from the cinnamon and nutmeg, which aren't very old. But the cloves and ginger I had previously? Let's not talk about it. Also, can I tell you about that Vietnamese extra fancy cinnamon you see above? It's pretty awesome. Very potent, as far as cinnamon goes. Definitely ups the ante in any baked good with cinnamon. My boyfriend is super into Penzeys Spices, so that's why you see so many of them here. I must say, it's pretty fun to just mosey around the shop and smell all the different spices they have. Yum. Seriously, though, just mix those spices around and you're good to go. Just make sure you've got any clumps out. I did it in a bowl with a fork, but I suspect if you want to do some cha cha chas, you can just shake it all up in your container instead of dirtying another bowl. 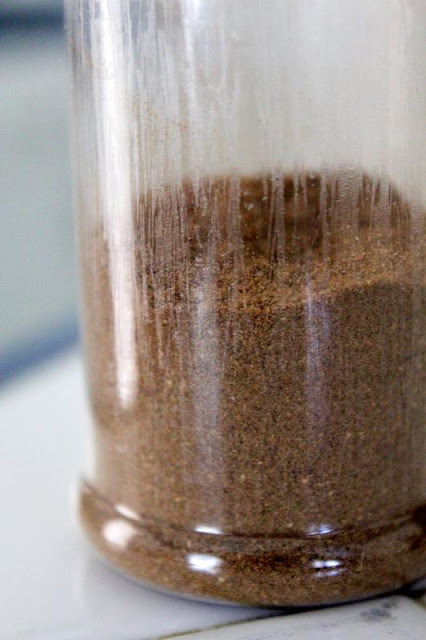 The below recipe makes about two Tablespoons, which you can see here fills up a spice container about halfway. You can always double it up and give yourself a full container, or just use up what you have and then make some more. Yeah, in that picture above you can see the residual scrapes leftover on my container. But honestly, do I really need some fancy container, or is it what's inside the container that matters? Is this a metaphor for life? Hmm. Prepare for pumpkin season by making your own pumpkin pie spice. 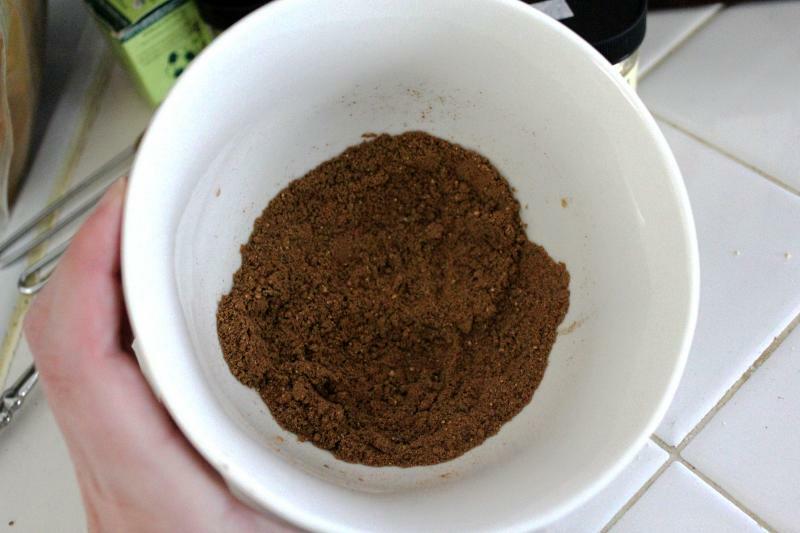 Blend all spices together, whether in a bowl with a fork, or sticking it directly in an old spice jar and shaking it up. Just make sure you don't have any lumps. The best part is that you can now go use this spice on something delicious! 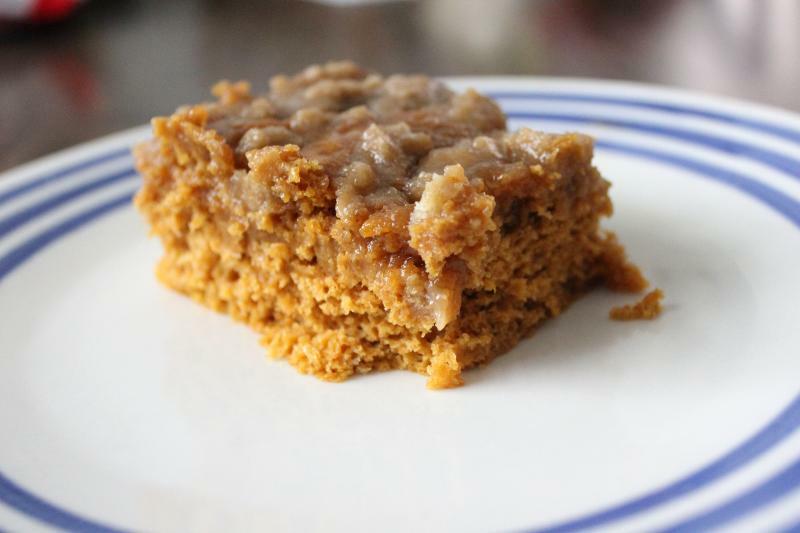 Like, perhaps, some Pumpkin Coffee Cake?! Seriously. Go make this cake if you haven't. It's SO GOOD!